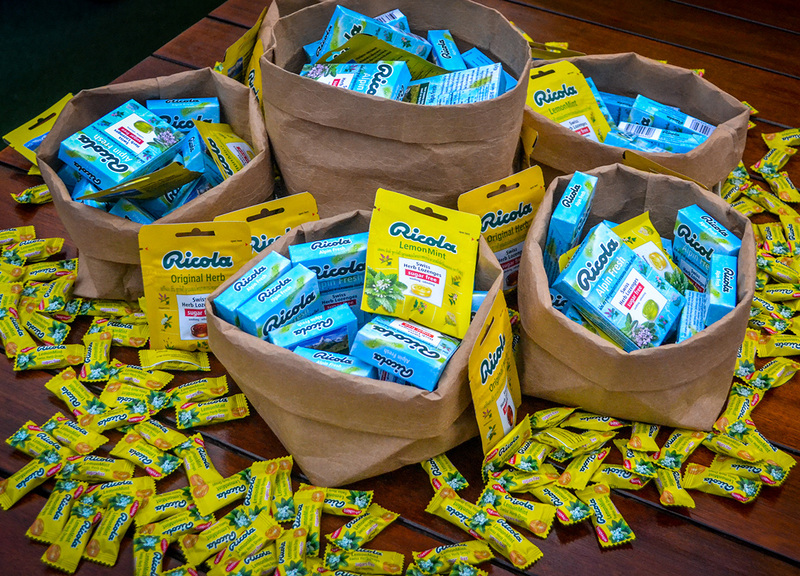 Switzerland is well known for a number of things; like army knives, cuckoo clocks, cheese with holes in it, and of course Ricola, the delicious Swiss herb candy brand. 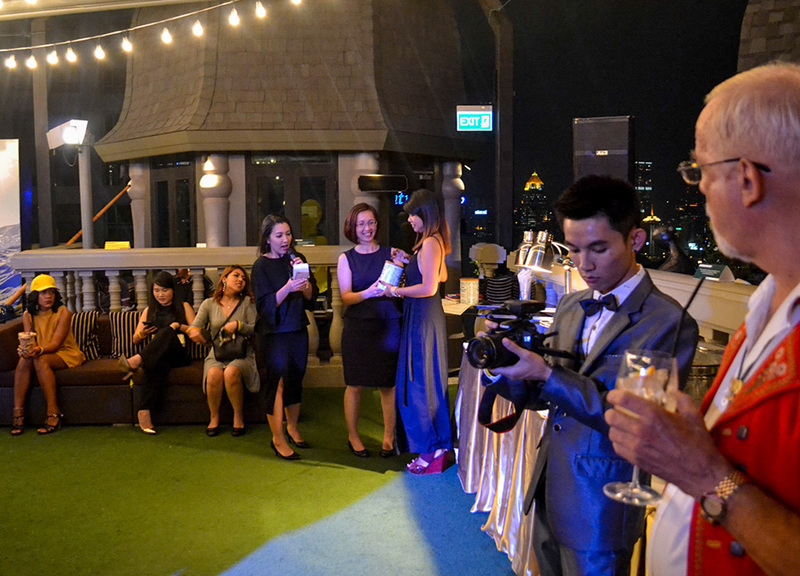 And the latter is what brought us into to Bangkok recently to make it a very Swiss themed visit as we also renewal our Sukhumvit condo lease, with our well known Swiss DJ and Muay Thai fighter tenant. 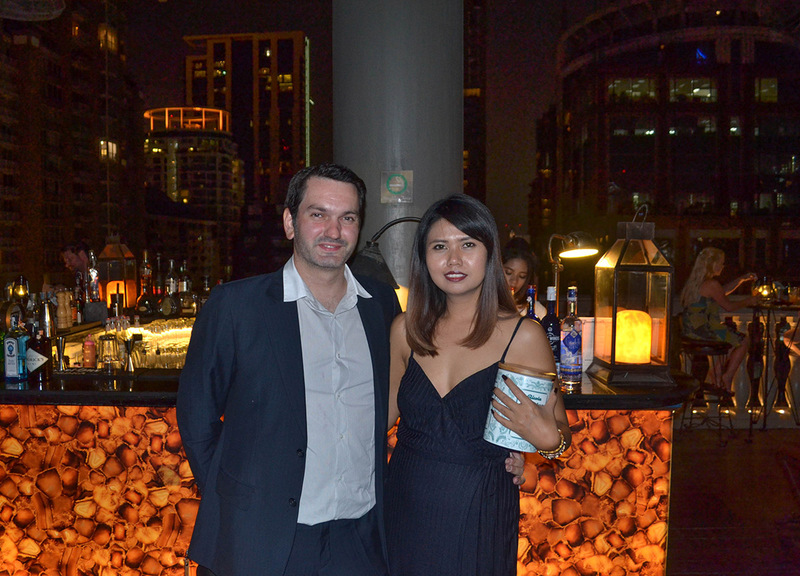 So we were invited along to an influencer event, hosted by Ricola, at the top tiers of the Speakeasy and Rooftop Bar at the Muse Hotel. And personally I was won over by “cocktail attire”, which reads to me as “free cocktails”, and Fanfan was quickly on board given she’s been obsessed with Switzerland since our stay in Interlaken last summer. But it has been a long time since we last dressed up (not including last week, when we wore traditional kimonos through the streets of Osaka) as we more or less live out of bags these days. So our clothes are between Europe and Asia, and Bangkok and Isaan. Long story short, I found a suit, but my favourite Ted Baker brogues have gone aloof and I resorted to buying a cheap pair for the night. Two free cocktails later I had already broken-even. Fantastic cocktails I might add, flavoured with Ricola sweet syrups and fresh herbs from the mountains of Switzerland, as Ricola do pride themselves on their authentic Swiss product and renowned quality. The food was equally Swiss, with local cheeses, cold cuts, and snacks, but raclette and fondue unfortunately didn’t make the table, although they’re probably the worst examples of finger food. Anyway, it was a jolly event, with plenty of cliches that even I missed like the bearded Swiss gent playing the accordion and massive horn. Although they did draw the line at lederhosen and yodeling. At least people did shout “Ricola” a lot in a yodel-ish manner. 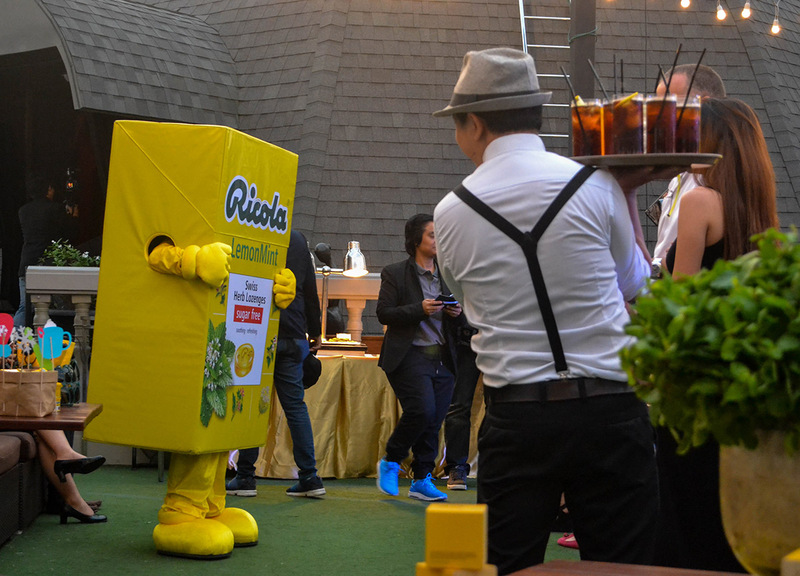 Then there was the dancing Ricola box, obviously, the perfect addition to any party. 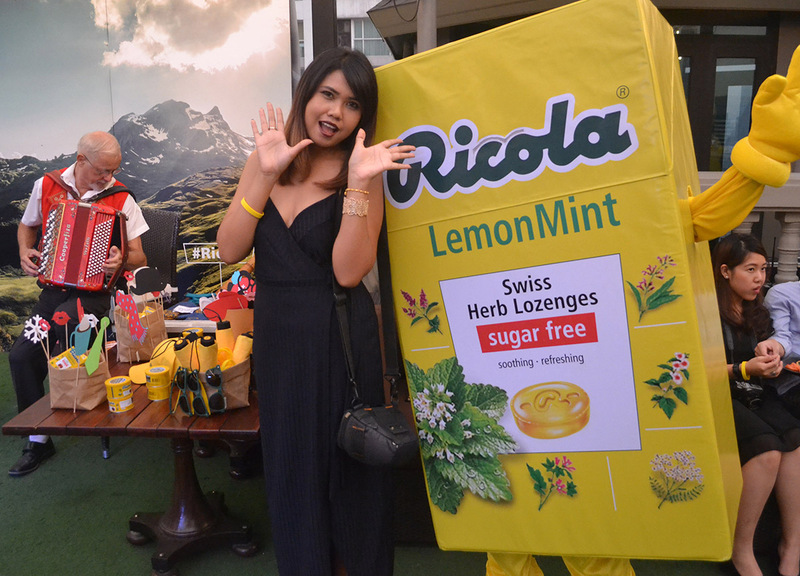 So much of the event, as expected, centered around Ricola as we would sample lots of their sweets and were educated on their herbs which are all grown, without the use of pesticides or insecticides, on the sides of Swiss mountains. They very much pride themselves on authenticity and environmentally friendly products. So, in many ways, you are experiencing a little piece of Switzerland in every sweet. And Ricola are like the Evian of the herbal sweet business. 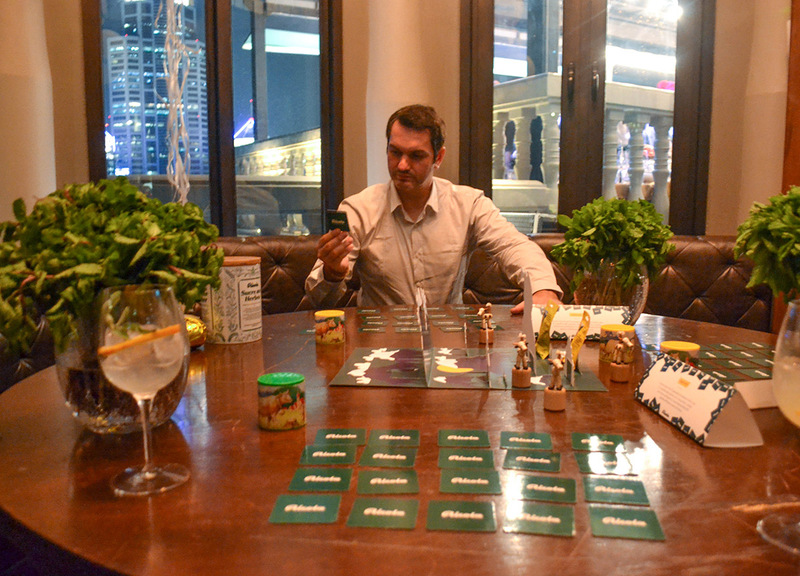 And of course there was a more fun side to the whole event where games rooms were set-up in the rather grandeur rooms of the Muse’s Speakeasy rooftop bar. And Fanfan went all in on the “stacking Ricola boxes” game as she piled the big boxes to almost dangerous heights, only to find out the winner was counted on “boxes used”, rather than “how high you pile them”. 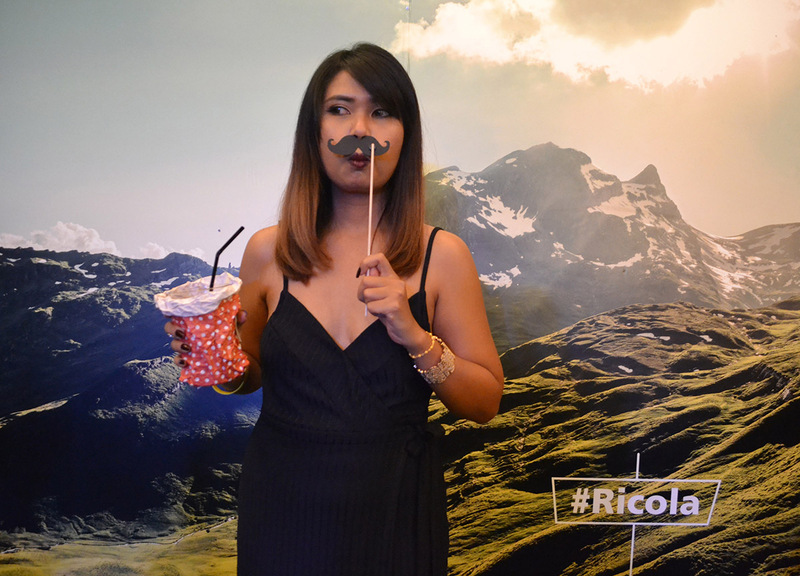 But she still came in second and won lots of Ricola presents to bring to the rice fields of Isaan, so they too can experience a little bit of Switzerland. 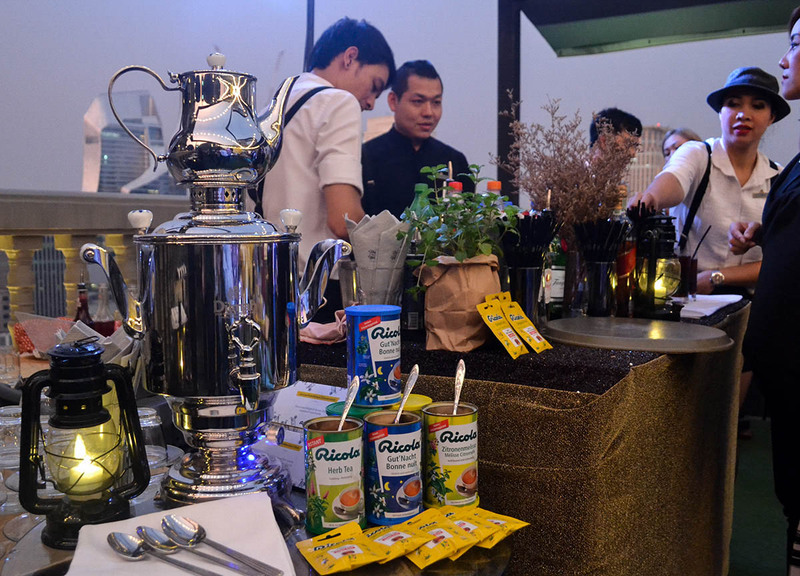 Anyway, for more information, visit the Ricola Thai website or buy a product in a 7-Eleven, Tesco or Family Mart.